Scientists and doctors have always known that graying hair may grow slightly better than pigmented, or dark, hair and is also thicker. A recent article published in the British Journal of Dermatology, explained about a study which is focused on the correlation between why hair turns gray by examining the genes, proteins, or both which correlate to hair growth in white and black hairs. This was accomplished by taking proper notation of the different morphology patterns seen in human scalp hair and eyebrows. Another method used is what is called a microarray analysis where the black and white hairs were observed while looking at the genetic differential expressions. These observing scientists showed the keratin and keratin-associated protein genes in gray hair were increased at least double in comparison with black or pigmented hair in their study. Their conclusion was that the final product of genes or proteins associated with hair growth that is active is up-regulated in white or non-pigmented hair compared with average pigmented or black hair. These results show the process of graying hair is tied to active hair growth. For more information on the published article, go to: Hair Greying is Associated with Active Hair Growth. 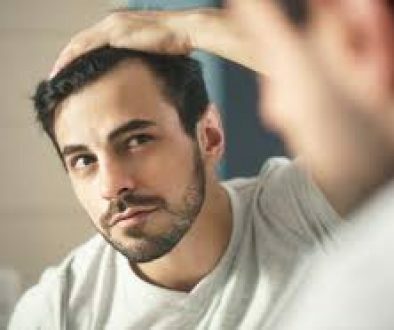 The Role of Hair Transplant Technicians by Dr. Ivan Cohen	Can I Use a Sauna or Steam Room Six Weeks after Hair Transplant Surgery?